For over 30 years chemists have trusted CEM to provide the highest quality microwave digestion systems for their laboratories. The MARS 6 is simply the easiest to use, safest and most intelligent system on the market. It is the only system that uses integrated sensor technology to recognize the vessel type as well as the sample number and use that to create a custom algorithm to ensure the highest quality digest. 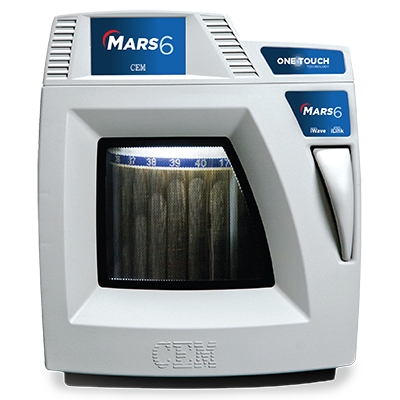 With options for remote system control and contactless all vessel temperature control, the MARS 6 is ready to handle your most difficult samples. Microwave is a technique used to dissolve solid sample matrices into an aqueous liquid. This is achieved by placing a sample in a concentrated acid matrix in a closed vessel and exposing it to microwave irradiation. Both the speed of thermal decomposition of the sample, and the solubility of metals are increased. Once these metals are in solution, they can be quantified through spectroscopic techniques. The MARS 6 acid digestion process routinely cuts the time of sample preparation by 50 – 75 % as compared to hot plates and hot block. The Accuracy of Fiber Optic Temperature Measurement without the Probes. iWave is a contactless in-situ temperature sensor that provides the same accuracy afforded by fiber optic probes. Using wireless iWave technology the sample is being measured, and not the vessel. With the ability to accurately monitor each individual sample you get the best control of the digestion process possible and you can create a report that validates that each individual sample reached the proper temperature. 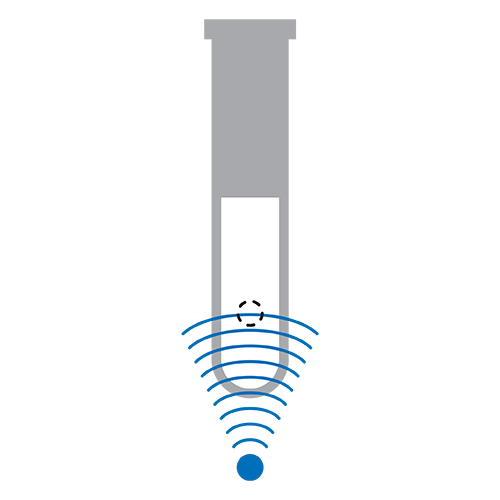 Digests up to 2x more sample per run and has higher operating parameters than any other vessel. Larger samples ensure homogeneity and increase limits of detection, a plus for any lab. The world’s most popular vessel has been providing high capacity sample preparation for over fifteen years. 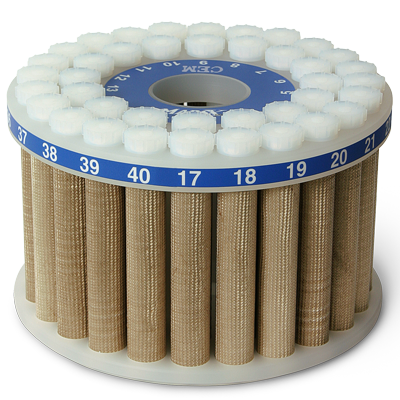 It is a medium pressure high-throughput vessel with a simple three part assembly and can be used to digest a wide range of standard materials. 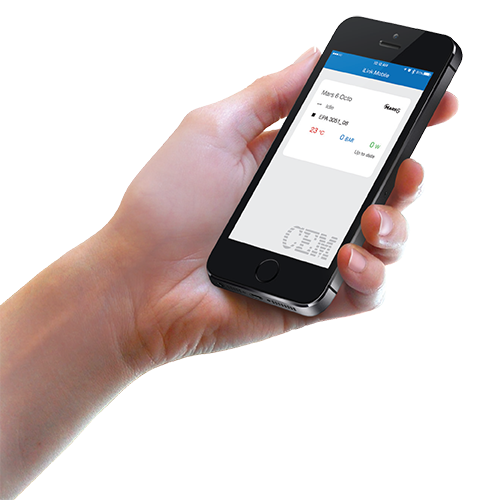 Get results on your mobile device. With iLink you can monitor and control multiple MARS 6 systems remotely. Easy to install and simple to use. Free yourself from the lab and increase your productivity. The intelligent way to prepare your samples. 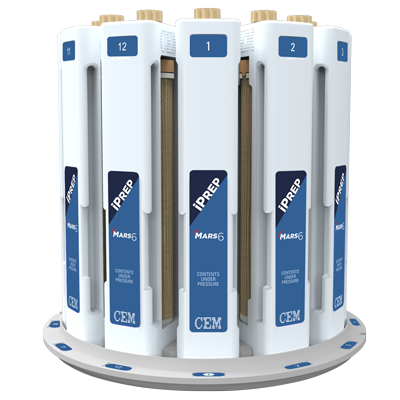 CEM has built in to every MARS 6 the experience of over 30 years of preparing samples. One Touch is like having a CEM chemist at your side. One Touch Technology features the industries only vessel recognition and counter sensors. This information is fed to the onboard computer which then selects the exact digestion conditions required for the sample load and vessel type. One Touch also has more than 100 pre programmed methods, including all USEPA methods, as well as on board tutorial videos. With One Touch you simply choose your method and the system does the rest. Relax…. You have One Touch. The MARS 6 is a batch acid digestion microwave system because it heats up to 40 samples during the same run. If you run the same type of samples, then batching with the MARS 6 would be the most efficient. You can load many samples, select the method, and all samples would digest at the same time and under the same conditions. 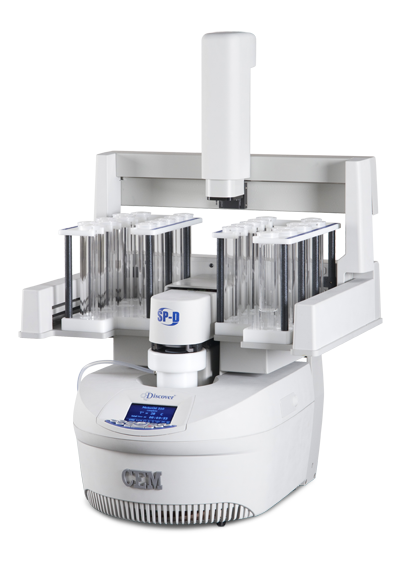 With the CEM Discover SP-D systems, samples are heated sequencially, one sample at a time automatically. This is a better option if you often need to run one sample, a small set, or if you want to load different samples for a single run. What makes the Discover SP-D automotated, is its robotic arm. Once the samples are loaded and the methods selected, the robotic arm will grab a sample, move it to a small microwave cavity, run the appropriate method, and report the results while it moves on to the next loaded sample. In about 10 minutes you can have one fully digested sample. Learn more about the Discover SP-D systems. CEM application chemists have a combined total of over 100 years of digestion experience. Our Senior Chemist has been preparing samples in our laboratory for over 30 years. Here are typical sample categories for acid digestion.